A short poem for today in memory of Charlie who flew away much too soon. © Diane Mayr, all rights reserved. 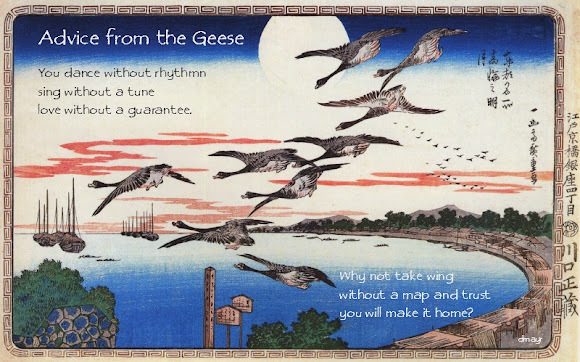 Woodcut by Hiroshige. Thanks, Gillena! The first week of 2016 was definitely a trial--things can only go up from here! Your heart will lead the way. xoxox beautiful! Trust you will make it home. Ah, yes. Thanks for inspiration today. Sometimes that's all we can do... trust. The dancing and singing and loving? That's the good stuff.